↑ "Queen to Honour David Collins in Historic Unveiling". The Mercury. 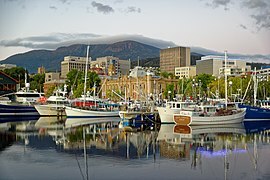 Hobart, Tasmania. 19 February 1954. प. 8, Royal Visit Souvenir supplement. पहुँचतिथी 17 January 2012.